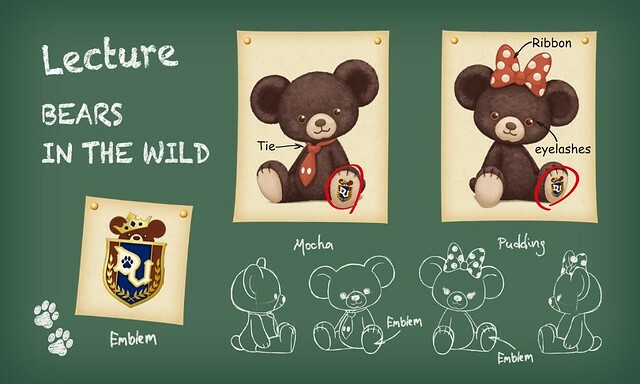 January 21, 2016 marks the 5th Anniversary of the unique teddy bear merchandise line, UniBEARsity. 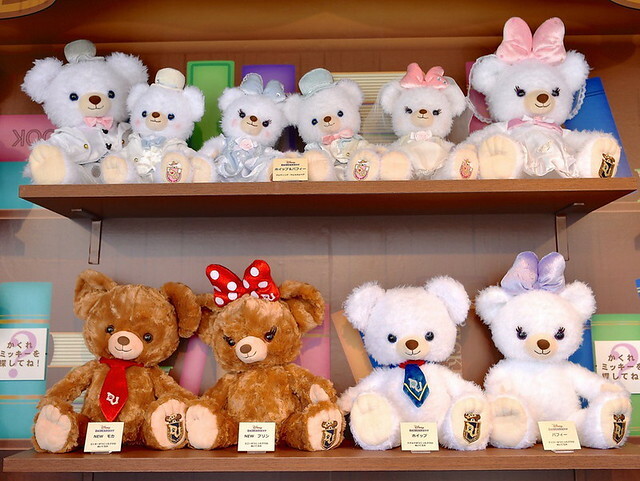 Having started out with a basic set of 4, UniBEARsity has expanded to the dozens along with keychains, accessories, and costumes to complement your teddy friend. 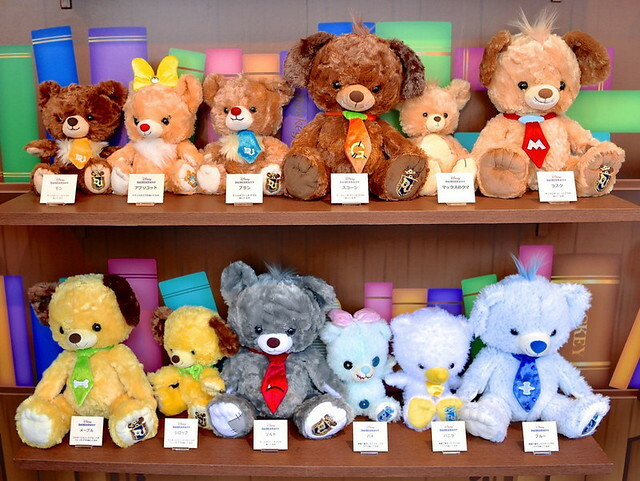 Although not very well-known outside of Japan, UniBEARsity has grown to be the spotlight trademark of Japan’s Disney Stores. 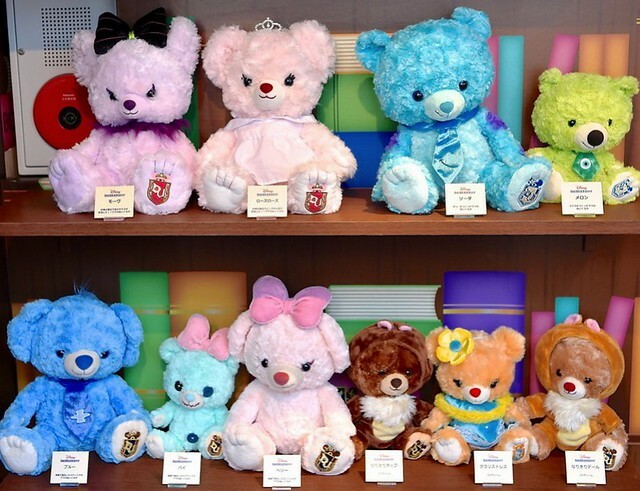 To celebrate their 5th birthday, Tokyo’s Omotesando Disney Store has set up a dedication spot aptly titled “5th Happy BEARthday”. 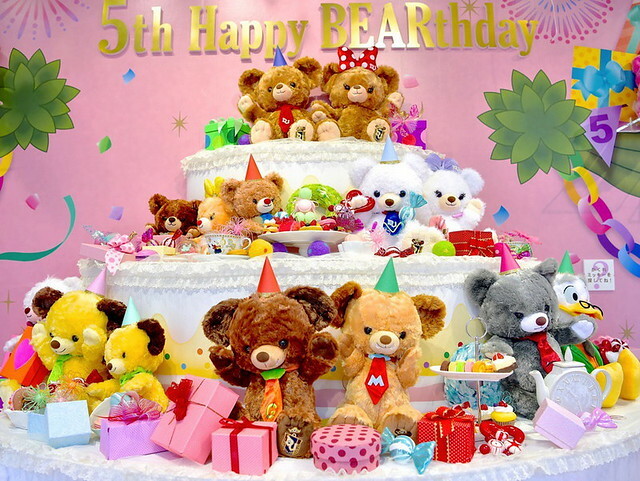 A large cake display showcasing the first line of Unibears donning party favors and birthday hats sit under the event banner. 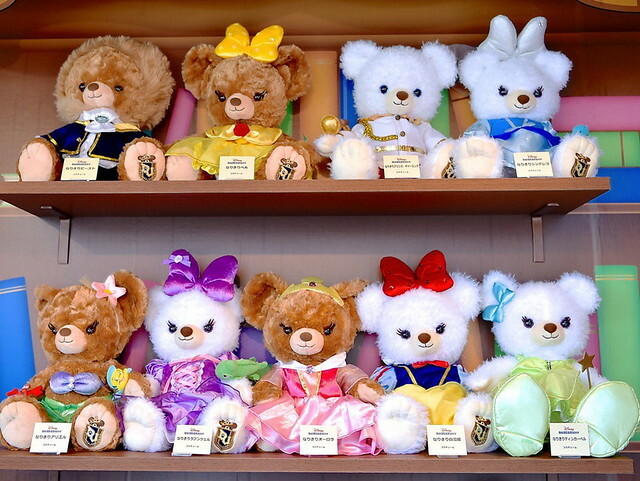 The bears’ designs are based on Disney characters (think teddy bear counterparts) and are usually named after pastries or desserts. 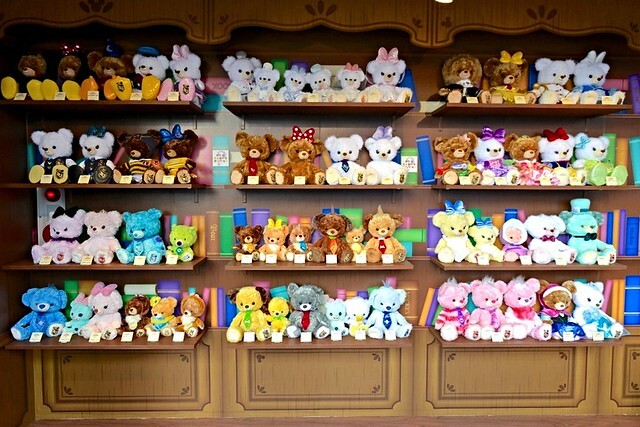 At the same time of release, there is often an accompanying online video showing the origin story or anecdote of the debuting bear. Each teddy bear carries the UniBEARsity crest on their left paw. Small features and accessories adorn the bears as a means to make them resemble their maker. For example, Chip and Dale’s bears have a brown and red nose respectively, and Goofy’s bear has two visible white teeth poking out from its snout. 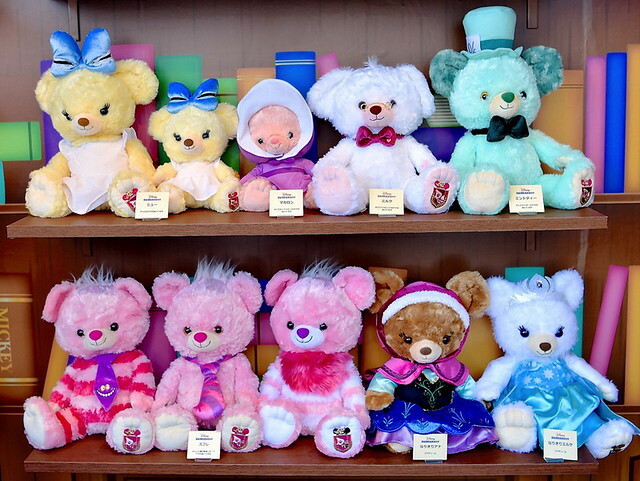 Sitting on shelves next to the cake display are all the Unibears which have been released thus far along with some featured costumes.